I am one thousand percent that one girl who will not stop talking about her study abroad experience, or “that one time I lived in Europe for three months.” Really, who could blame me? My study abroad experience was so much more than I could have imagined it to be. Telling all my abroad stories is like a coping mechanism for my European homesickness. I will probably never stop being that one girl. It felt like everything that happened while I was in Europe was totally separated from my real life, as if it were really a dream. Transitioning back to “normal life” after basically having a three month long adventure in Belgium and countless other European cities has been difficult, to say the least. I went from having something exciting to do at all times to slowing down quite a bit. I spent every weekend last semester in a new European city and my weekends returning home consisted of laying in bed. My abroad experience helped me realize that I’m strangely uncomfortable with having absolutely nothing exciting to do and I had to help myself feel okay about simply relaxing. I think I deserved that month-long nap over winter break. Upon my initial return to my home in New York, I had sort of a reverse culture shock feeling. I expected that my return home would be smooth sailing for the most part. I was very incorrect. For the first few days after coming home, I would without fail fall asleep at 7:30 PM and wake up at 4:00 AM. One could imagine the exciting social life I had. Getting back into the groove of American life and actually having to pay attention to the ridiculousness that is American politics has been slightly exhausting. I’m still trying to get used to the political climate, but I’ve kind of accepted that American politics will never stop stressing me out. Even readjusting to my friend groups at home have been a strange experience. Studying abroad offered an opportunity to have a totally fresh start, and this kind of stopped short when I returned home because I had family and friends who already had their own perceptions of me and had different expectations of me. 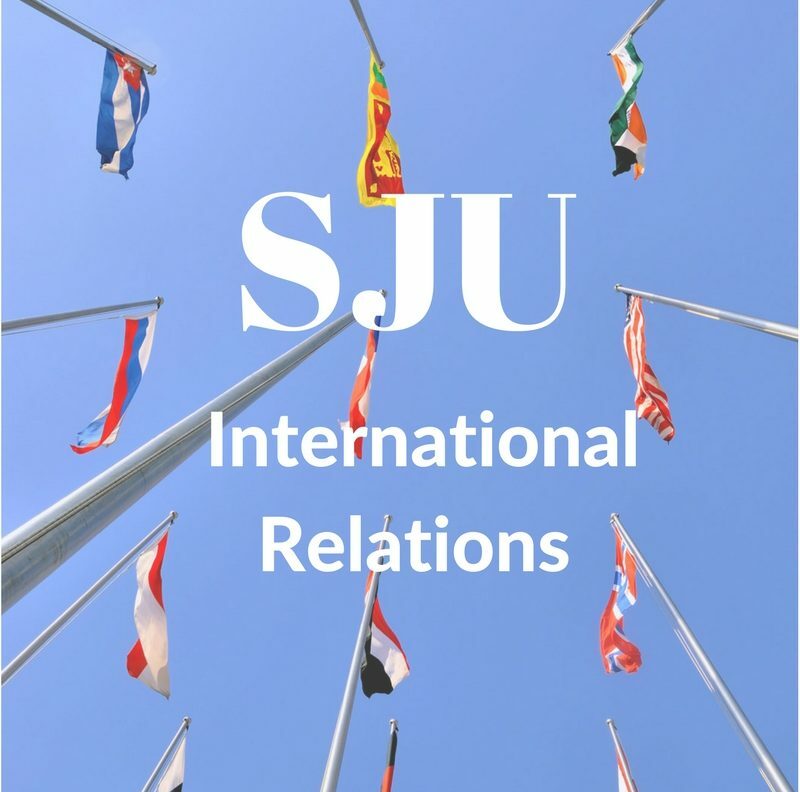 Coming back to SJU’s campus has been an experience in itself. I was so excited to come back to campus and return to my friends, our class structures (the 2.5 hour classes offered abroad got very old very quickly), and of course, our Political Science department. The thing I missed the most about SJU is our supportive faculty. They really are so accessible and helpful and want to see us succeed. I am, of course, constantly missing Leuven and the friends I made at the Irish Institute. I miss the going to European Parliament twice a week and often wish there was some way I could work for them from here. Basically, the only thing I don’t miss about Europe is having to pay for water in restaurants. I try to remind myself to practice “gratitude over sadness.” I want to be grateful for the things that I was so lucky to experience and keep in touch with the friends that I made in Leuven and use the things that I learned at Parliament in my future endeavors. Everything I learned while abroad is going to help me through life, whether it be my lifestyle or career path.